Save money on your next cruise with a 2019 Marella Cruises discount code. Cruises are a great way to see the world but they don’t have to cost the earth if you make the most of the deals available. Marella Cruises from TUI are growing in popularity for their balance of quality and value; these discounts and promotions make these special trips even more affordable. If you want to redeem a Marella Cruises discount code while booking your next cruise adventure online then look no further! We regularly search and find the best deals on the market to save you money. 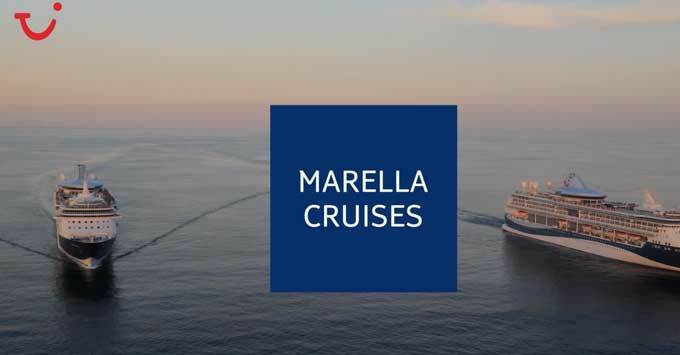 This is a superb cruise voucher code from Marella. You can get £150 all cruises between May 2019 and April 2020 with this coupon. Simply apply at checkout to save money! If you are undecided on the route you want to take then make use of the cruise route planner on their website. Enter a starting port or just select regions of the world that you would like to visit and their technology will do the rest. There are Marella discount codes and vouchers available across many of their routes so you are likely to find a bargain wherever you choose! There are 6 ships sailing under the TUI / Marella cruise flag in 2019. Each ship lives up to the standard set by Marella but with their own unique personality and perks. We have taken a quick look at each ship to see where they are sailing and what makes them stand out from the crowd! The Marella Explorer was introduced to the fleet in 2018. This entertainment extraordinaire comes complete with 10 bars and 10 restaurants as well as an indoor cinema, sports deck and Champneys Spa on-board. See where the Marella Exploring is cruising to next and book your cabin! The Marella Explorer 2 will be joining the fleet in the summer of 2019. Setup much like its sister the Marella Explorer, this brand new ship has one unique difference; it is going to be for adults only. If you are looking for an adult-only cruise then check out the itinerary of this new nautical masterpiece! A hugely popular ship, the Marella Discovery ship offers a perfect family experience. With climbing walls and west-end standard shows on offer, there is something for the whole family. One of the huge perks of Marella Discovery cruises is that everything on-board is all-inclusive. Eat, drink and relax without worrying about your wallet. Due to the unique nature of cruise holidays, it is important to get the right travel insurance for your trip. View our guide to cruise travel insurance to help you make the right decision. You can also see Boots travel insurance promo codes on this page. You can follow the latest updates from Marella Cruises on their Facebook page and see pictures from their incredible ships at @marellacruises on Instagram.